Students are to arrive on time for class. Please call the studio if your child will not be attending. Students are not allowed to play or loiter outside the studio. Parents are responsible to pick students up immediately after class. The studio can not be responsible for supervision. 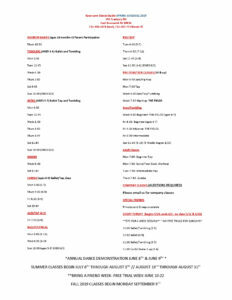 Make-up classes are available for assigned classes are missed. Parents should call the studio if your child is unable to attend. Student’s dress code goes into effect the first week of October. 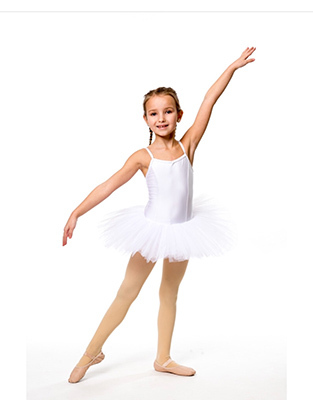 students may wear dancewear to and from the studio with clothing over. The studio is NOT RESPONSIBLE for lost shoes or personal belongings. Hair should be neatly confined, pulled back or up. Toddler Intro & Kinderdance – Pink leotard, Pink chiffon skirts (optional), Pink tights, Pink ballet shoes, Black tap shoes. Combination (Ballet & Tap), Afterschool & Saturday Kinderdance – Black leortard, Pink tights, Pink ballet shoes. Classical Ballet / Lyrical / Pointe – Black leotard, Pink Tights, Pink ballet shoes. Jazz & Tap – Black leotard, Black tights, Studio T-shirt, Black Jazz shoes, Black flat top tap shoes. Hip-Hip – Studio dancewear, Sneakers. Acro / Gym / Jazz – Studio dancewear. Boys – White/black tee and Black pants/shorts, White socks, Regulation shoes. Adults – Workable stretch clothing, Sneakers or Proper shoes. EE Company – Uniform dress code as per teacher. PLEASE PUT STUDENT’S NAME INSIDE DANCESHOES AND DO NOT WEAR DANCE SHOES OUTSIDE. DANCEWEAR AND DANCE SHOES ARE AVAILABLE IN STUDIO FOR PURCHASE. September is Kaye-Lynn’s “Trial Period” with a three week discounted rate. This trial period allows both the students and our teachers to focus on the students ability. Students may be asked to try several classes during this time at no additional charge for proper placement. Students may improvise with dancewear and dance shoes at this time. October begins our “Trimester Tuition Payments” which are payable the 1st week of October, January and April. The Studio accepts both Master and Visa card. Family discounted tuitions and yearly discounts are available. There are no yearly contracts. Statements are not mailed unless payment is overdue. There are No Refunds for an uncompleted course or missed classes. Cancelled classes – holiday & snow days may be taken on their assigned make-up days. Refunds are not given for cancelled /holiday closings. Please contact the Studio for class rates.